The concept of flying cars has been around for very nearly as long as the car itself. And today, there are a handful of companies around the world vying to make that concept a reality for all of the future-loving masses. 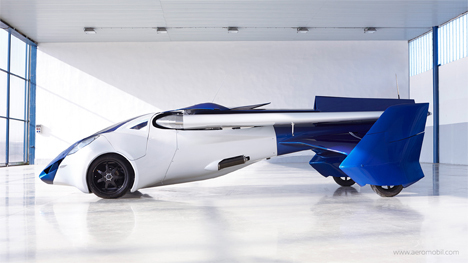 One surprising contender is Slovakian startup AeroMobil. 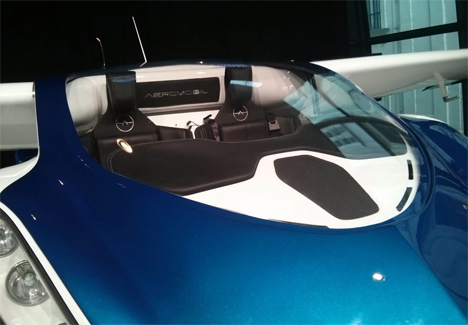 Their AeroMobil Flying Roadster 3.0 prototype took to the skies in October 2014, giving a preview of its style and abilities at the Vienna Pioneers Festival. 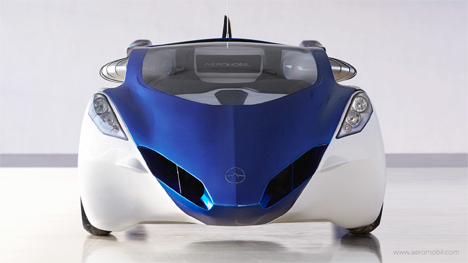 The AeroMobil has a long and pretty impressive past. 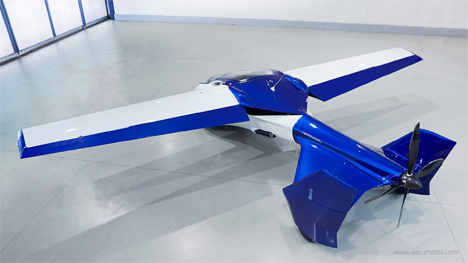 Stefan Klein, AeroMobil’s chief designer, began tinkering with a flying car design in the 1980s in communist Czechoslovakia. 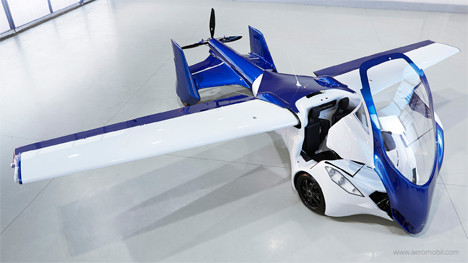 But it wasn’t until 2010 that Klein teamed up with entrepreneur (and now the AeroMobil CEO) Juraj Vaculik to build a marketable version of his idea. They produced the current prototype in just ten months. The Flying Roadster is a bit longer than a standard van, so it could be parked in a standard driveway when its wings are retracted. When you’re ready to take off, the car’s wings fold out and you just need to find a clearing at least 650 feet long to take off from. It runs on regular gasoline and has a flying range of about 500 miles. 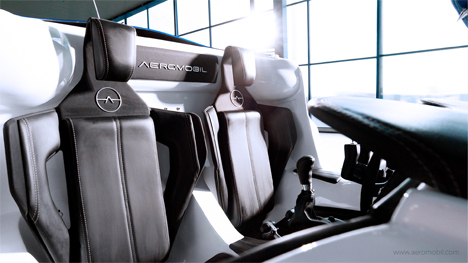 In the air, the AeroMobil can reach speeds of up to 100 MPH. 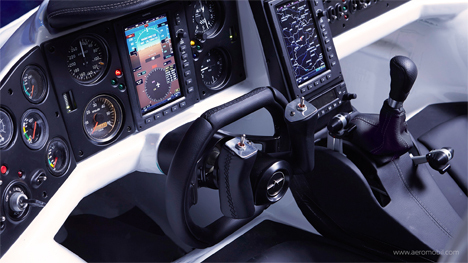 Inside, the cockpit features both flying and driving controls so you can seamlessly switch between the two. Like other proposed flying cars, the AeroMobil could be piloted by anyone with a pilot’s license – no special training is required. The cockpit is equipped with everything you need for a safe and comfortable flight: auto-pilot, GPS, a parachute deployment system, and a second seat for taking along a buddy. 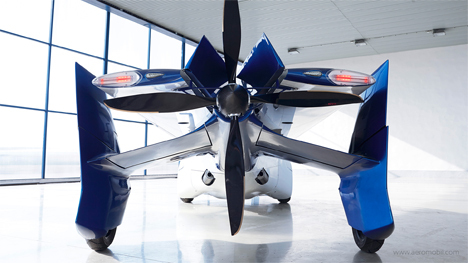 According to the team behind AeroMobil, they realize that there are plenty of challenges to overcome. 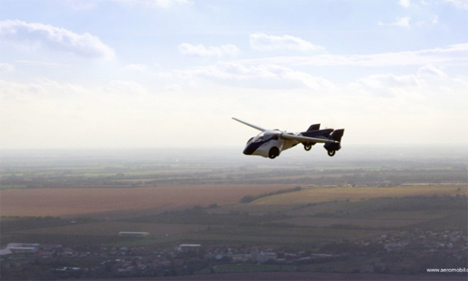 These challenges have derailed the grand plans of many other flying car companies. But Klein remains hopeful that the world will see what a benefit the AeroMobil could be to countries with crumbling transportation infrastructures. The AeroMobil 3.0 is still undergoing testing and will have to be certified before it can be driven or flown, but so far the company’s position is that it is very close to releasing a final product that could actually be purchased by the public.